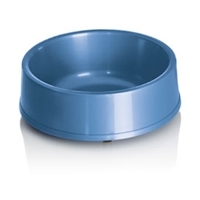 The first stainless steel dish line that is fashion-designed with embossed paw prints on extra wide rims! 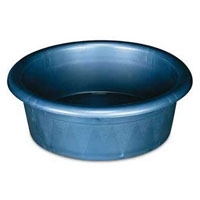 Hygienic, rust-resistant, dishwasher-safe. 7.5" Stoneware dog dish. Our most popular line of crock dishes. 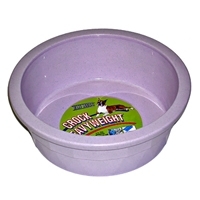 Heavy weight design eliminates movement and spillage.High gloss finish. 5" Stoneware dog dish. 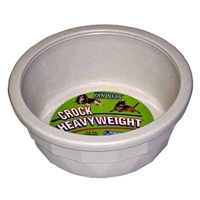 Our most popular line of crock dishes. 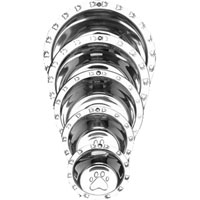 Heavy weight design eliminates movement and spillage.High gloss finish. 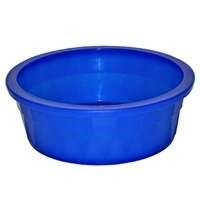 The wide, rubber-edged, non-skid base on this no-tip dish is designed to prevent movement and spillage during feeding. 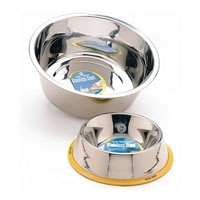 Dish is made of heavy-duty stainless steel so they won't rust or scratch. 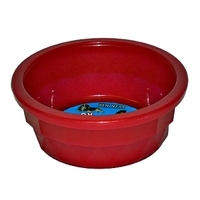 Get rid of unwanted, pesky insects in your pet’s food and water bowls with Petmate’s Fool-a-Bug bowl. Features a unique, revolutionary design to keep bugs out so your pet can eat and drink in peace. 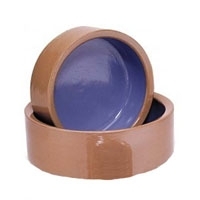 Non-skid rubber feet help protect your flooring and keep the bowl stationary while eating and drinking. Available in one size and two colors. 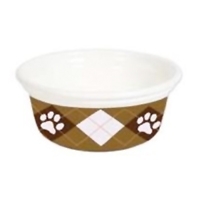 Durable plastic vs. brittle ceramic/stoneware material - white with argyle paws. Fashionable and sylish with today's trends. Non-slip & no scuff base. Dishwasher safe- top rack. 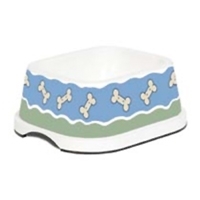 Durable plastic vs. brittle ceramic/stoneware material White w/Bone Parade pattern. Non slip & no scuff base. Dishwasher safe top rack.